Hybridised by the late Mrs Monica Bennett of the UK. 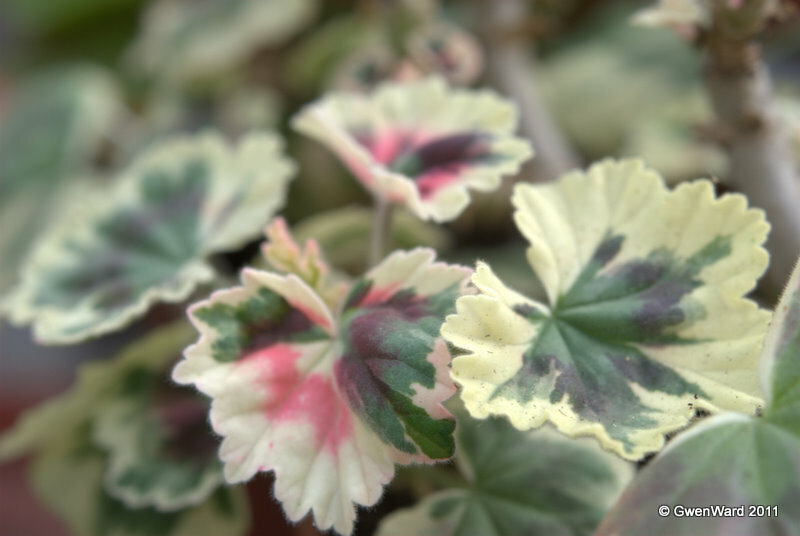 the beautiful zonal pelargonium Abba is a quite stunning plant. The double dark rose pink flowers in large umbels contrast well with the light green leaves. Abba flowers profusely on strong stems and does not shatter easily. A cross between Debbie and Blue Spring, Abba was introduced in 1976 and quite likely named after the popular singing group Abba. 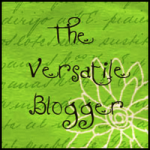 This will be my last Blog for 2011 and I wish you all a very happy, and healthy 2012. Sunspot Petit Pierre is, surprisingly, flowering well in my conservatory just now considering we are now into December and the recent days have not been exactly bright. 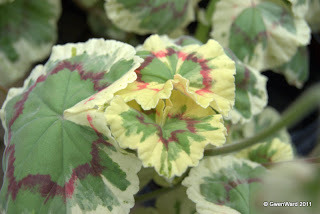 However, this is one very bright plant, even the leaves are bright. The flowers are small and single, but of a brilliant pink with the top two petals fading to white at the centre. The plant is short jointed and the small leaves are a wonderful butterfly lime green with a darker centre. Miniature zonal Sunspot Petit Pierre was introduced in 1990 by Swanland Nurseries. I tend to keep this plant in the conservatory rather than the greenhouse. 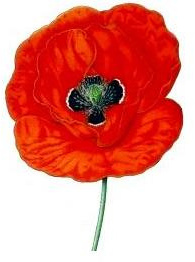 It is a sport of Kleine Leibling, a very old variety from Germany and was certainly around in the 1890's. 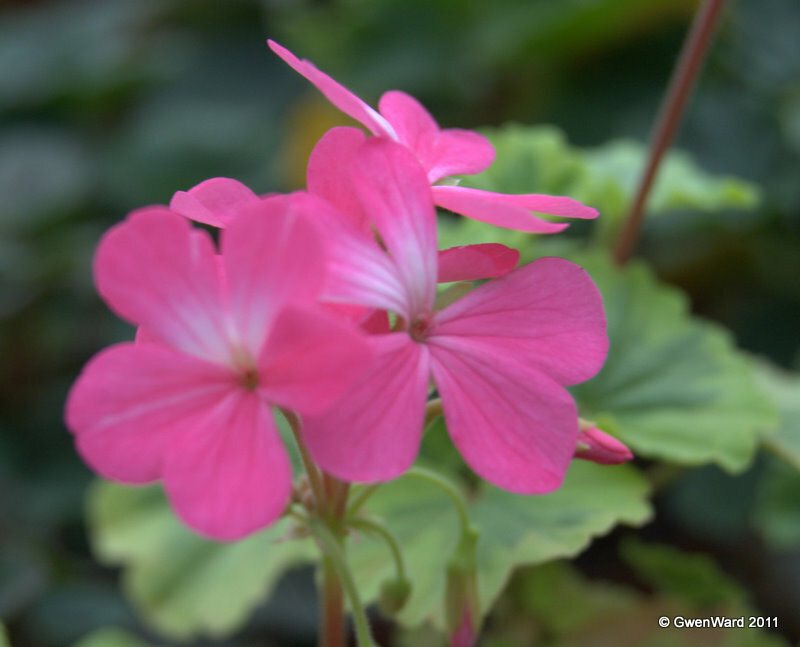 This also is a miniature with single bright pink flowers and small bright green leaves. 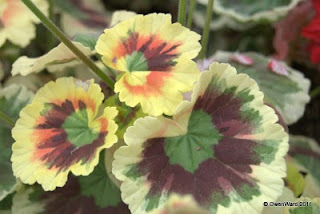 It has sported several varieties and over the years I have grown some of them. 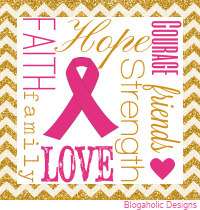 Kleine Leibling is a haploid - meaning it has only half the normal chromosomes. It does not set seed, therefore it cannot be hybridised by pollen. The only way to increase these plants is vegetatively, i.e. by taking cuttings. It does sport very freely. Indeed, I have heard of some people having this plant with all the different sports on the same plant. I would imagine it would have to be a very large plant, and would be a wondrous sight! Here in the UK, Kleine Leibling is sometimes referred to as Petit Pierre. It is known in the USA as Kleine Leibling or Little Darling, the translation from German. 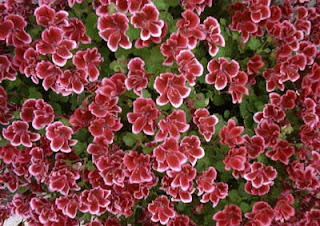 Basic zonal pelargonium "Charmay Cocky"
Although I mainly grow miniature and dwarf zonal pelargoniums, I do grow a few of the basic types. One I admit to having a very soft spot for is Pelargonium "Charmay Cocky". 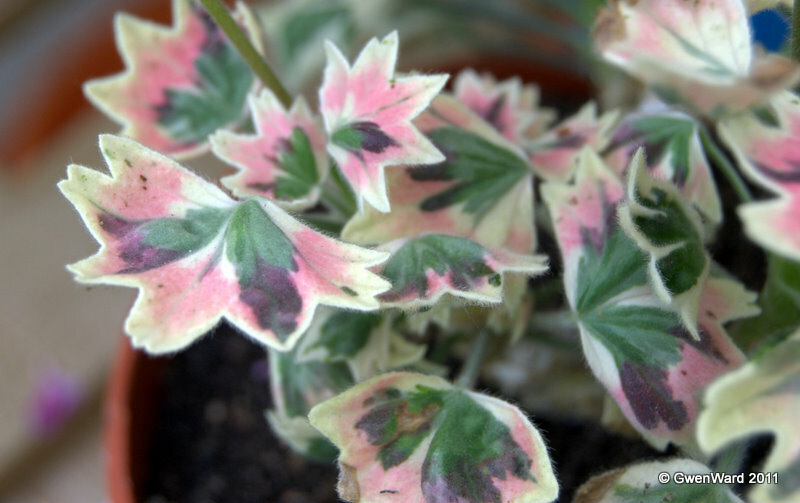 The two-tone pink semi double flowers are most unusual. 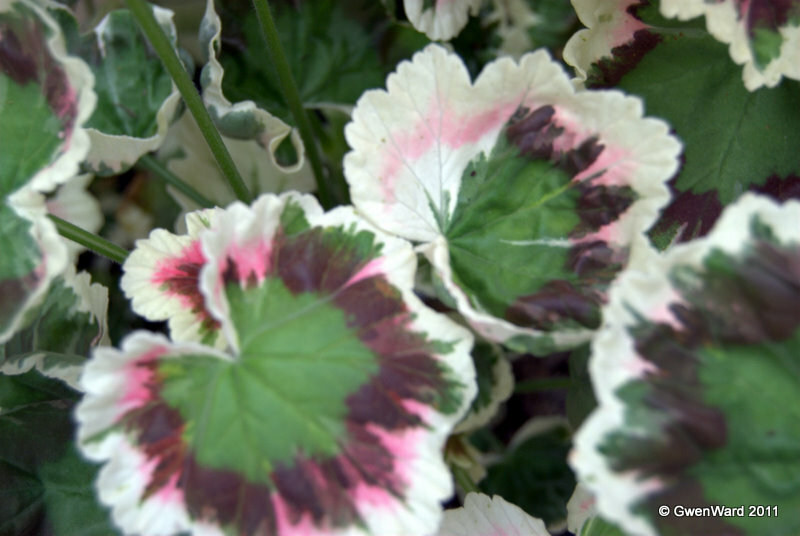 Each petal is very pale pink, sometimes almost white, but with a darker pink centre and a darker pink narrow edge to each petal. The leaves are green with a feint zone. This is a plant that I brought back from Australia a few years ago when I was attending a Pelargonium Conference and I am thrilled that Gosbrook Pelargoniums in Shrivenham, Near Oxford, have decided to release it this year. 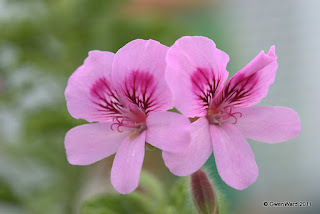 As those of you who will have read my previous blogs, pelargoniums with the pre-fix "Charmay" were hybridised by Ken Attfield who lives in New South Wales, Australia. Ken told me that the word "Cocky" is Australian slang for a cowboy or farmer. Coloured Leaf Zonal Pelargonium - "Warrenorth Rubelite"
Pelargonium "Lady Plymouth" is one of the most popular and attractive scented pelargoniums. 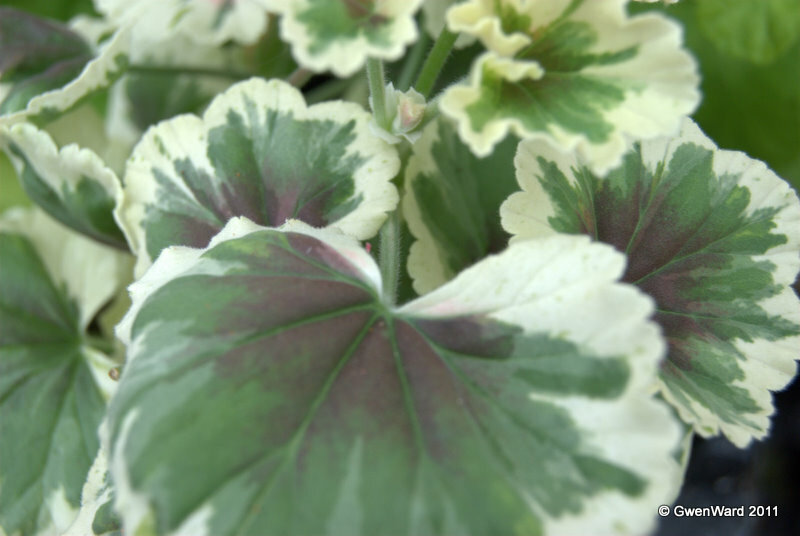 The pale grey-green leaves have a thin white edging, are deeply divided and have a rose scent when rubbed. 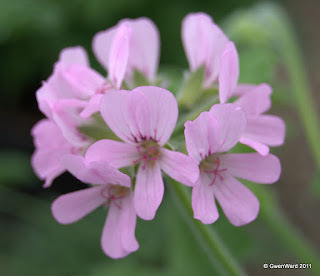 The flowers are single, small and pale mauve in colour with darker feathering on the top two petals and the plant has a compact growth habit. 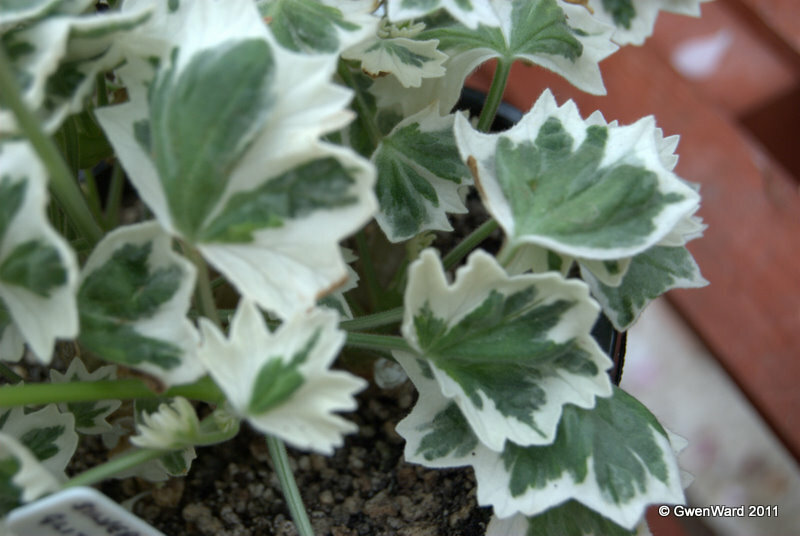 The plant is probably a sport of the scented Pelargonium graveolens, which has the same leaf form, but darker and brighter green with no variegation. Occasionally P. "Lady Plymouth" will produced all green shoots similar to P. graveolens, in which case the green shoots should be removed. 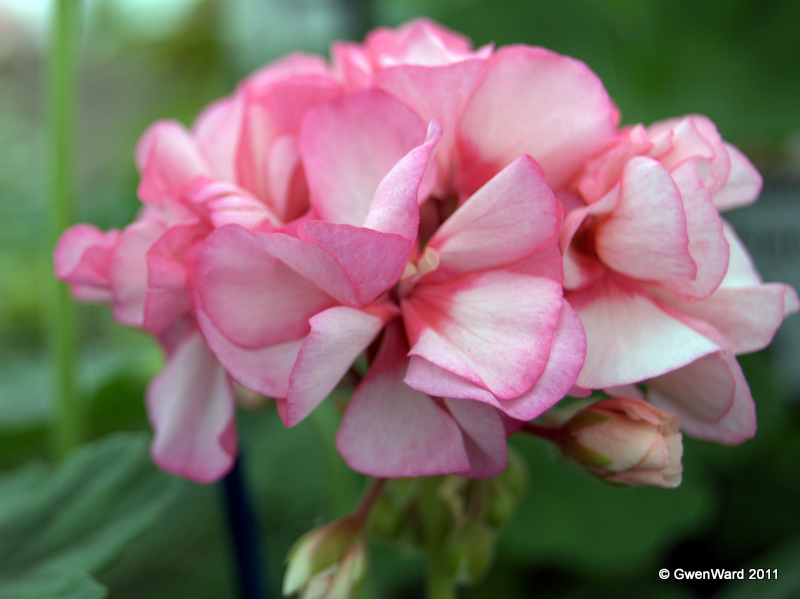 Scented Pelargonium "Lady Plymouth" was first described in the UK in 1852, but had probably been in cultivation well before then. This is one plant I like to grow indoors as it is a neat and tidy plant, and grows well near a bright window. 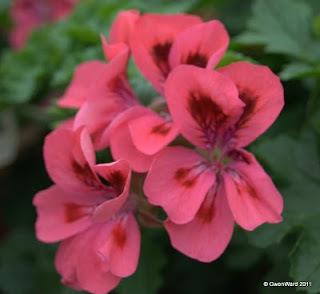 The scented pelargonium "Copthorne" grows too large for my greenhouse so I like to plant it in a very small bed just outside the second greenhouse. It quickly grows into a sizeable plant of about 18"high (46cm) with large mauve flowers which have darker 'feathering' on the top two petals. An added bonus is the scent when I brush past it on entering and leaving the greenhouse. "Copthorne" does not have a sweet scent, but is rather like cedar wood, and not unpleasant. It usually looks quite spectacular as it flowers for most of the summer. However, this year it has only just come into flower, caused, I think, by the dull days with low light levels we have had here in the UK this year. 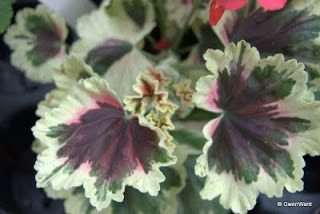 Said to be a cross between the Regal "Aztec" and an oak leaf pelargonium (? "Royal Oak"), "Copthorne" was raised by Annie Popperwell (now Annie Holmes) of Essex and introduced by Thorpe's Nursery in 1985. Last winter was particularly harsh here in the UK and one plant that I lost and have really missed this summer is Black Jubilee. For me it is a particularly good to plant out in pots in the garden during the summer, being a tall growing plant, which needs quite a lot of pinching out to make a bushy plant. The single dark rose pink flowers shine brightly against light green leaves with a distinct wide dark zone. Black Jubilee was hybridised by Fred Bode, U.S.A. and introduced into Australia in 1958. I cannot find out when it as introduced here in the U.K. Some photo's of my favourite part of the garden. Last year I had grasses here, and it did look quite splendid. However, the harsh winter took its toll on several of them, so I decided to put dahlias here instead this year. I think I like it better. I like the combination of Dahlias Bishop of Llandaff and David Howard, but will have to remember to put David Howard behind the Bishop next year. Flaming Katy is one of the first miniature pelargoniums I had in my collection and it is has remained a firm favourite. 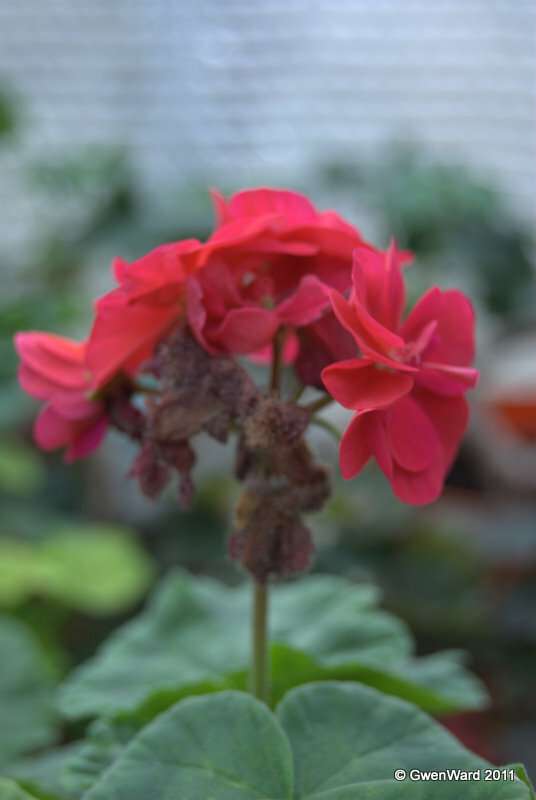 Semi-double dark pink flowers above dark green foliage, Flaming Katy was introduced in 2000 by Dennis O'Shea. 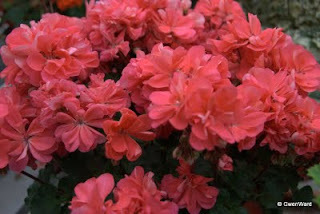 It flowers almost non-stop all summer and even flowers during the dark winter months - so real value for money. Now that the days are getting shorter I have been bringing indoors, or into the greenhouses, all the plants that have stood outside for the summer. I keep my two Christmas Cactus and one Easter Cactus together in a shady spot. When I lifted them to bring them in I found that one was in full flower already. The second has a few buds, as is usual at this time of year, but this is in full flower. 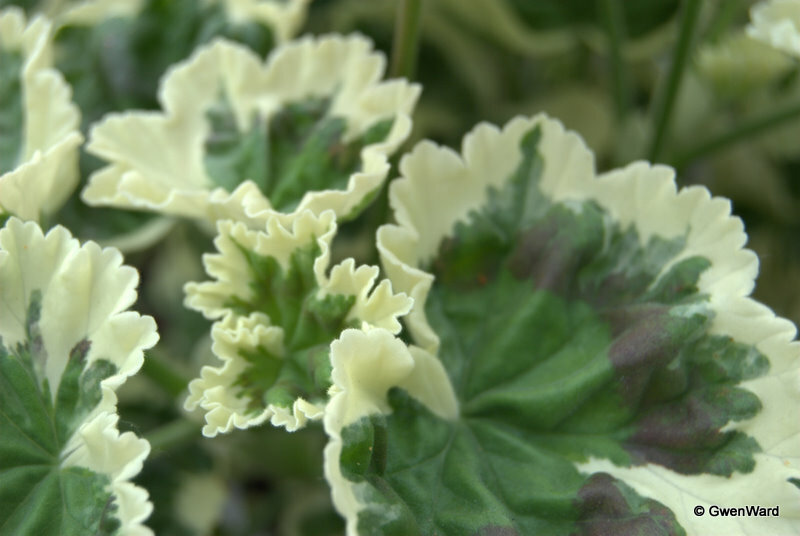 An Angel Pelargonium - but not as we know it! Last spring a friend of mine gave me three small cuttings of the first double Angel Pelargonium Quantock Double Dymond. Two of the cuttings rooted well and grew into good plants. When I left for my trip to America at the end of June both the cuttings had buds, although one of them, I thought, looked a little strange for angel pelargonium buds, but as this was a new type of Angel, I thought no more of it. 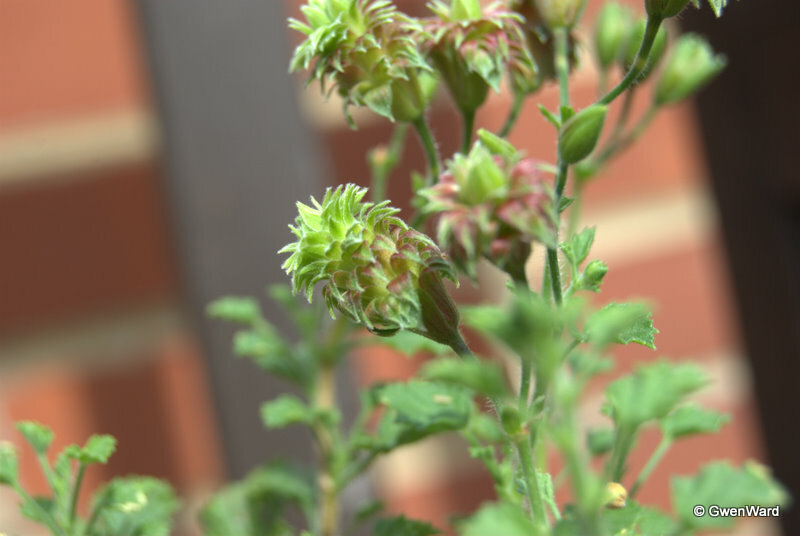 When I got back from America one of the small plants had already bloomed, and I was only able to see the 'tail end' of the flowers. 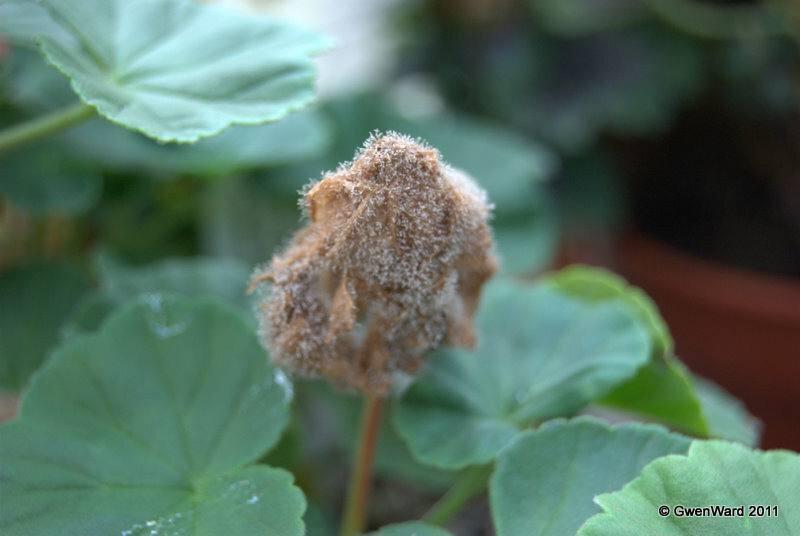 The other plant still had decidedly odd looking buds which did not seem to have grown very much at all. 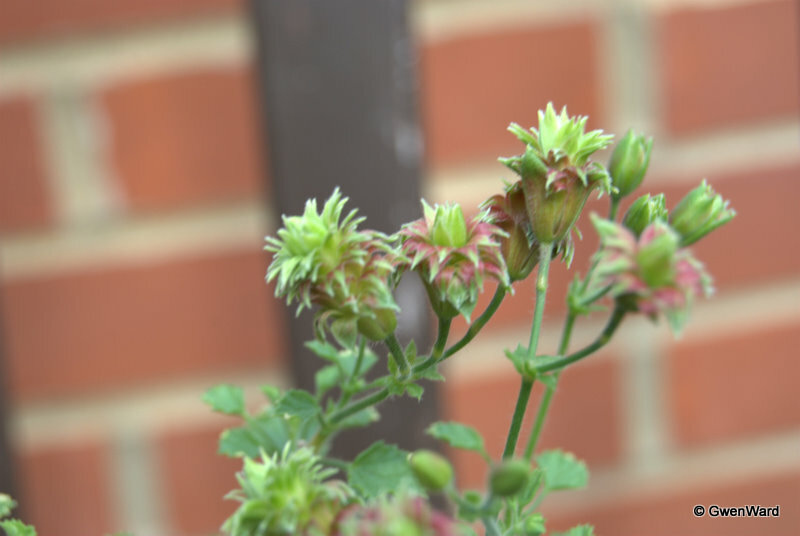 As the months have gone by these odd flowers have grown longer and longer with no petals to speak of, and remained a green/brown colour. 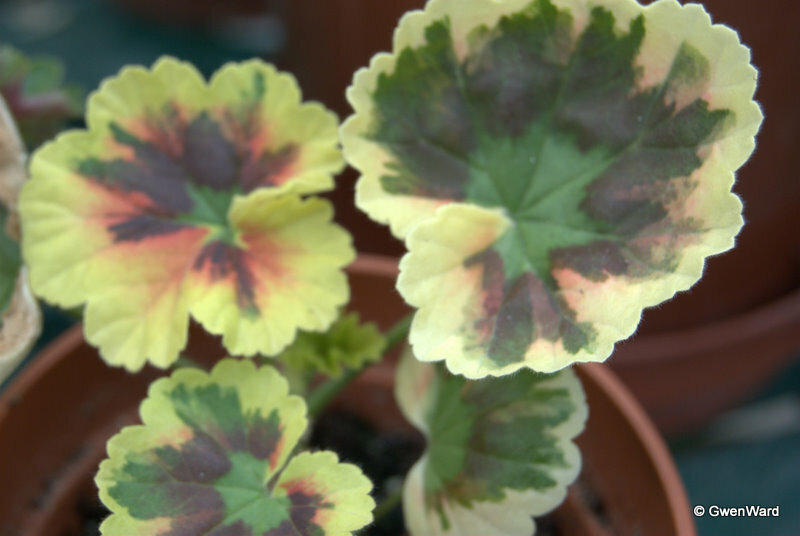 Having asked around my pelargonium friends if they had seen anything like this odd plant, without success, I contacted Ken Dymond, whose plant, Quantock Ultimate, was the plant on which the sport Quantock Double Dymond was found at Fir Trees Nursery, Stokesley, North Yorkshire. Ken told me that this strange sport was also found on Quantock Double Dymond at Fir Trees Nursery. 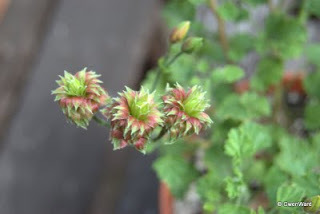 I emailed Fir Trees Nursery to ask permission to use their photographs of Quantock Double Dymond and Quantock Ultimate for this Blog, and Helen Bainbridge, Proprietor, told me that they had had many enquiries for this plant and would be releasing it next year as Fir Trees Catkins. This plant seems to grow exactly as you would expect an Angel Pelargonium to grow, apart from the very strange flowers. Quite attractive in an odd sort of way, at the moment. However, I understand the flowers become very elongated in time, as can be seen starting in the second photograph below, and I don't think this will hold much attraction. 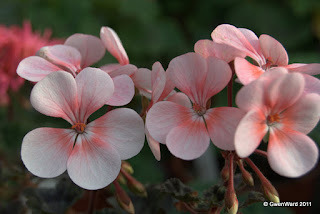 Ken Dymond hybridises many wonderful Angel Pelargonium with the prefix "Quantock" after the hills of the same name in the English County of Somerset where Ken lives. 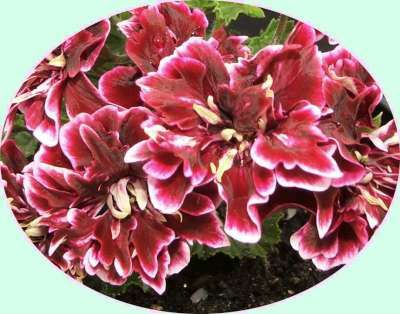 However, Quantock Double Dymond is the only Angel Pelargonium with the pre-fix 'Quantock' not hybridised by Ken. It was found as a sport growing on another of Ken's hybridising ' Quantock Ultimate; and was named by the nursery in Ken's honour. 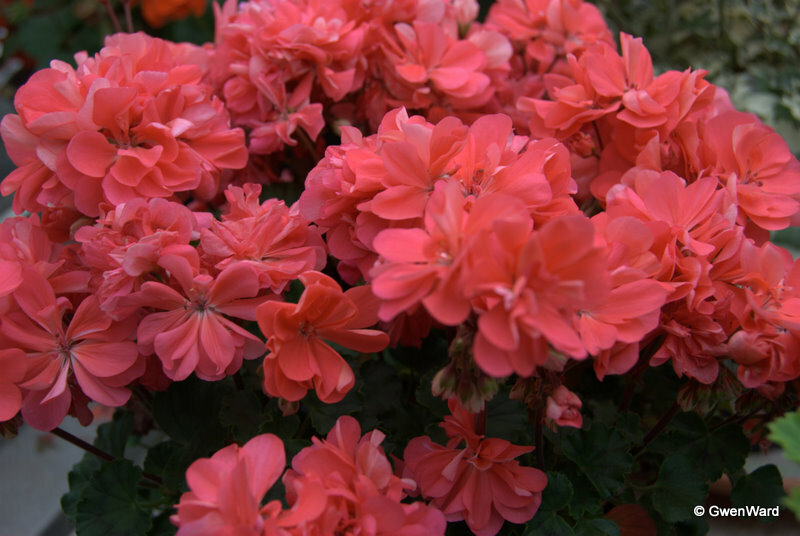 Ken has written a booklet, entitled "A Personal Guide to Growing and Exhibiting 'Angel' Pelargoniums". 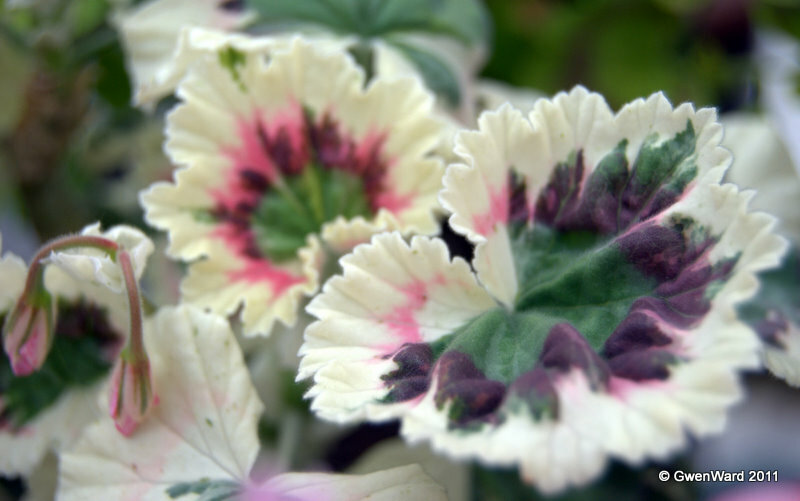 In his book Ken explains how he came to hybridise pelargoniums, with tips on exhibiting and growing pelargoniums, coloured photographs of many of his raisings, and personal anecdotes, as well as the 'family history' of Fir Trees Catkins. This excellent little publication is available for only £4.00 which includes post and packing (and, Ken tells me, autographed as well!) and can be obtained from Fir Trees Nursery, address as above, or from Ken himself. 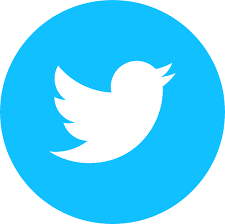 If you email me (gward28@gmail.com) I will let you have Ken's address.